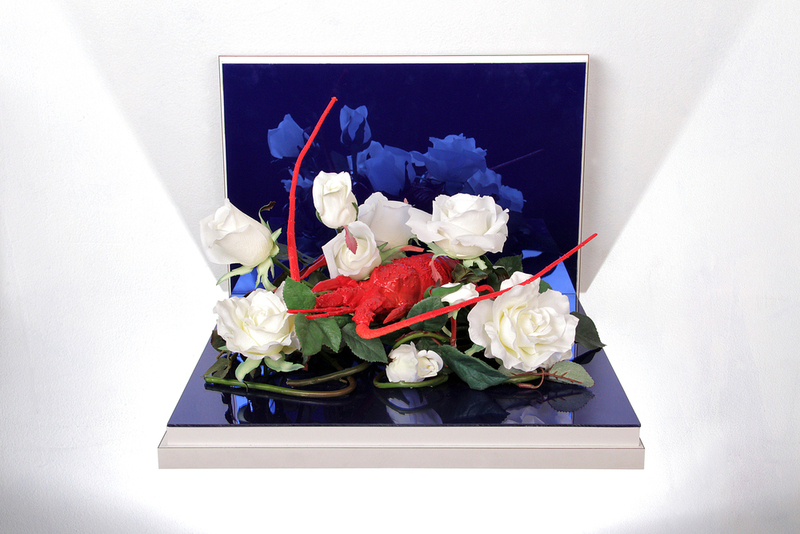 The Claw and Cracker Club is an interactive body of work that focuses on the politically-charged and ritualized consumption of lobster. 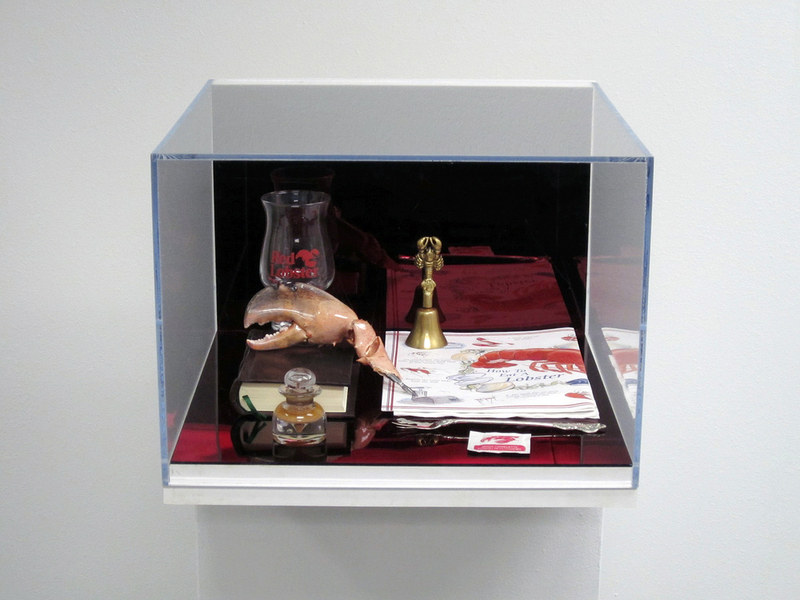 The installation created by artist Christopher Reynolds consists of paintings, sculptures, photographs, sound, scents, video, and other mixed media that highlights this controversial food item. Lobsters as commodity have a tumultuous past and stigma regarding their influence upon class-structure and the world economy-at-large. 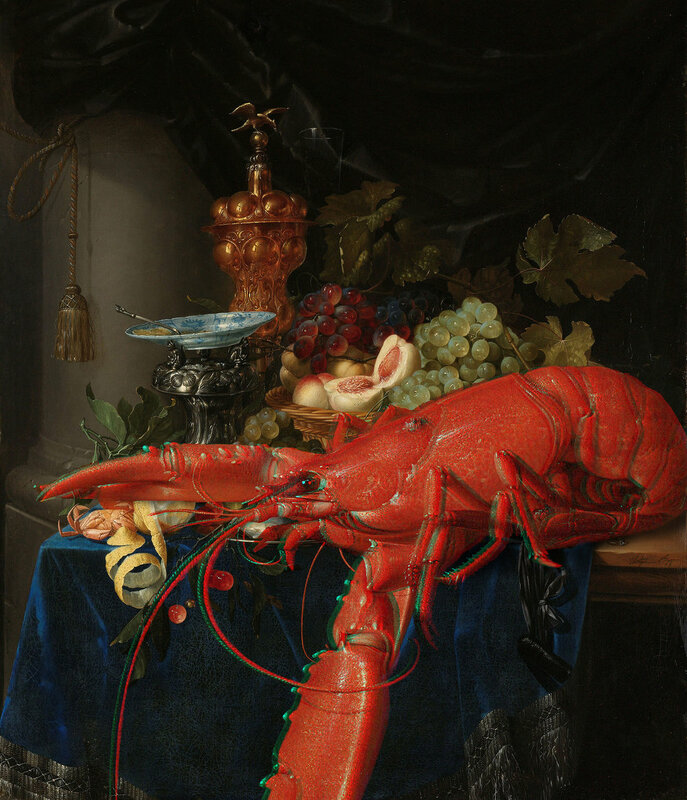 Prior to being known as a gastronomic status symbol for luxury and wealth, the lobster was considered an undesirable crustacean that was abundant and cheap and therefore fed to servants, slaves, and prisoners alike. It wasn’t until the locomotive transportation boom, commercialized canning, and the designation as a non-rationed World War II foodstuff that the “cockroach of the sea” molted its negative reputation to take its place upon the plate of the Bourgeoisie. 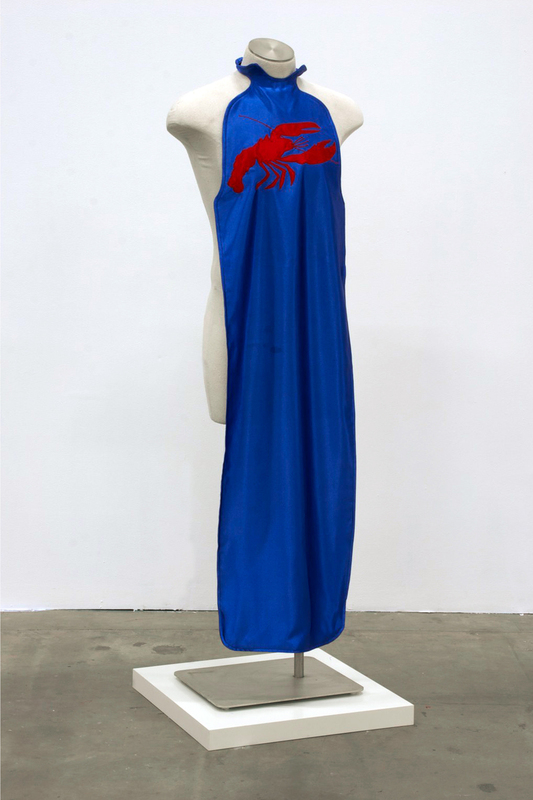 The Claw and Cracker Club echoes the lobster’s troubled identity with the juxtaposition of its representation as the opulent food item of five star restaurant dishes to the All-You-Can-Eat butter-drenched spectacle presented at “Red Lobster” chain restaurants. 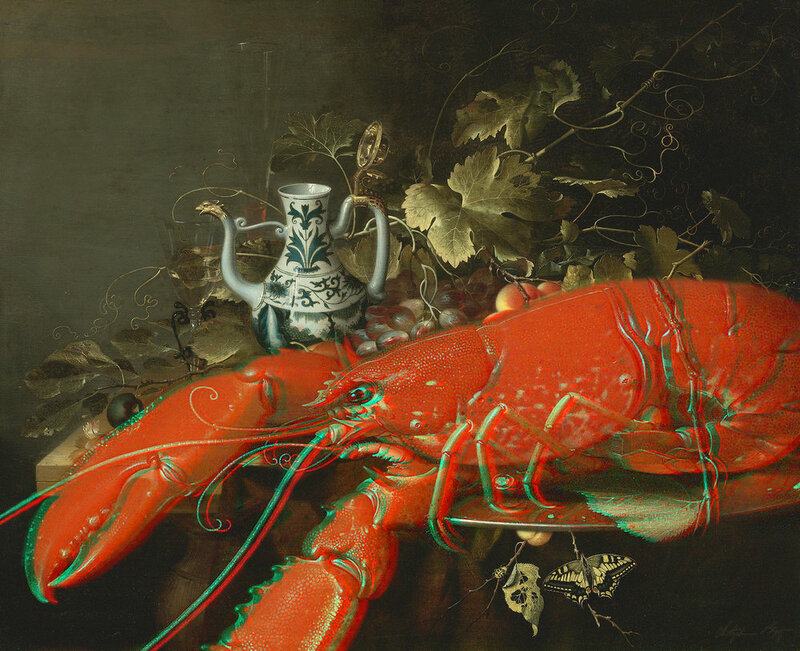 The menu and accompanying installation presented to the “members” at The Claw and Cracker Club highlights these high- and low-class variations on the lobster through choice of ingredients, materials, found objects, and the performance of the highly orchestrated ritual of consumption. Few animal proteins are available today where the consumer is an active participant in live specimen selection and imminent death; the lobster still remains a meat where the consumer chooses the animal, kills it, and eats it in a highly ritualized manner. 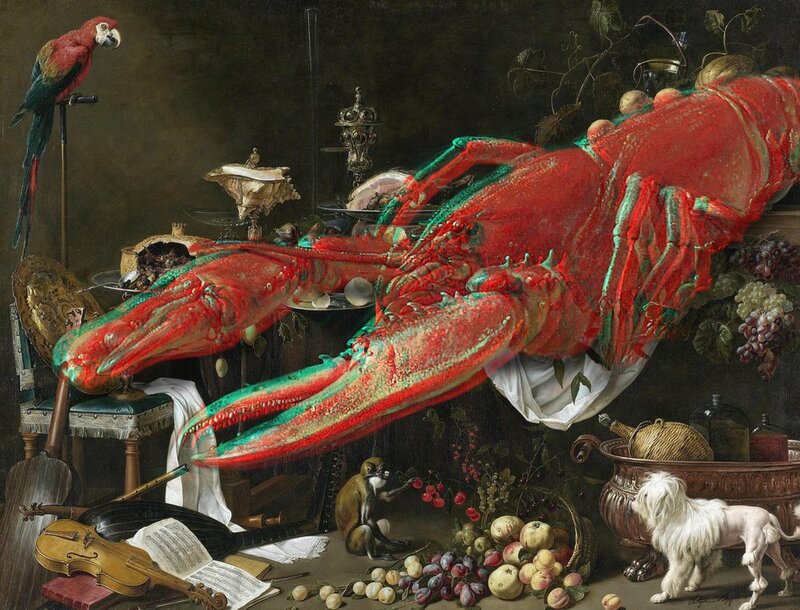 With the rise of etiquette manuals and homemaker guidebooks in the early to mid-20th century, the lobster was clearly outlined as a food that must be carefully selected, disassembled, and consumed with poised precision. Manners experts such as Emily Post and Amy Vanderbilt along with contemporaries such as Julia Child and Martha Stewart sanitized the violent process of killing, cooking, and eating the ill-fated arthropod. The Claw and Cracker Club draws attention to this humorous and gratuitous formality. Not only focusing on the checkered history and consumption of this controversial shellfish, the title and ornamentation of this event references secret societies and members-only clubs that were prevalent in the 18th century and many that are still in operation today. 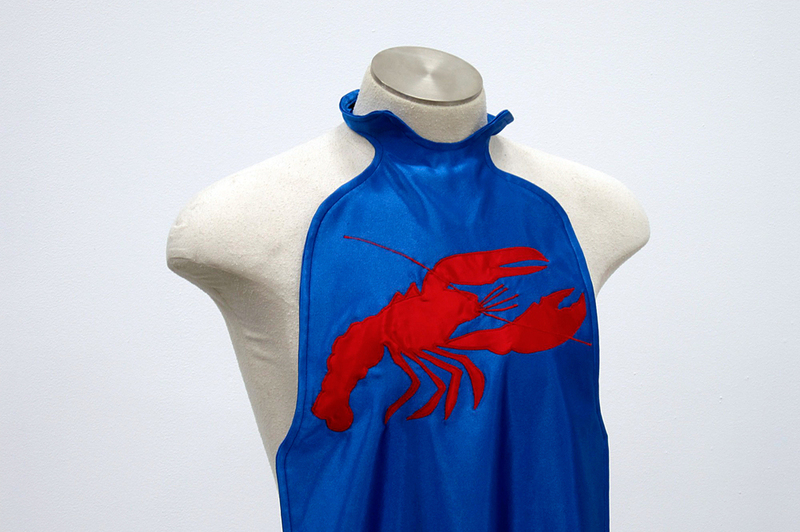 Reynolds borrows bylaws, iconography, and other historical markers to highlight the ritualized sacrament and tradition of consuming lobsters. 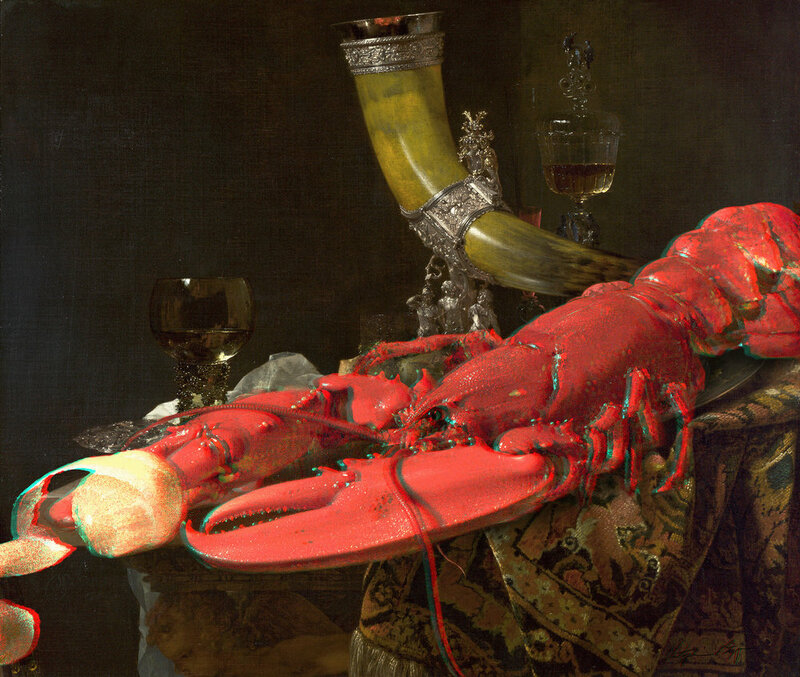 With direct reference to The Sublime Society of Beefsteaks and other organizations such as the Freemasons, the Rosicrucians, and the Oddfellows, The Claw and Cracker Club presents to its “members” the lobster as a rare item that hyperbolized the everyday ritual of eating through steadfast tradition and religious pageantry. Similar to The Beefsteak Society founded in 1705 by art patrons congregating around the love for the arts and the simple act of eating steak, Reynolds invites viewers to participate in the initiation ceremony to The Claw and Cracker Club through the camaraderie associated with the consumption of lobster.